Who doesn't like hitting the slot machines and the roulette table for some late night gambling fun? If you're in the mood to win some dough, call Vancouver Limo Service PDX and grab a ride from us. 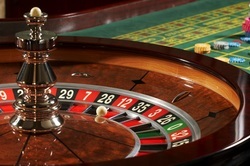 A tour to the local casino can provide a group of friends with tremendous amounts of enjoyment and fun. We can show you the time of your life and give you that exciting Friday night adventure you and your group have been looking for. Complete audio and visual entertainment system for your group to enjoy while you are shuttled to the casino that you chose. Timely, professional, and overly polite drivers. From the first time we meet until your final destination we strive to hit and maintain 100% customer service. Countless years of experience. We know where all the casinos are located and not because we are addicts. Regardless of how far the destination is, we will accommodate you and your friends. Privacy for you and your entire group as you are transported to and from the casino. Safe Transportation. We are understanding in fact that you may have had a couple too many. As long as you don't make a mess, we will have no problems with a little bit of inebriation. Our goal is to make sure your crew is moved safely and happily from place to place. Flexibility. If you and the squad want a night cap, let us know, we will be pleased to oblige. We have the ability to accommodate large groups or individual parties. Just tell us what you're wanting, and we will be sure to take care of you guys. Vancouver Limo Service PDX accommodates Portland, Beaverton, Gresham, Tigard, Hillsboro, Aloha, Lake Oswego, Oregon City, West Linn, Tualatin, Milwaukie, Troutdale, Sherwood, Forest Grove, Wilsonville and Vancouver Washington. If we happened to have missed your city and you are close to any of the ones listed, we will take you under our wing too. Vancouver Limo Service PDX is thrilled to answer any questions you may have. Get a free quote now. It should only take a moment!